100% natural, non-toxic skin care with incredible results. This post started as a Winter Beauty Guide as I wanted to share all of my favorite new products that I’ve discovered recently. However, I quickly realized more than half of my new faves were from natural skincare guru, Tata Harper and the rest of my recommendations will have to wait for another post. In September, I had the pleasure of meeting Tata herself, backstage at The Brock Collection show during Fashion Week (amazing, I know!). I’ve been a fan of her brand for several years and love that everything she creates is 100% natural and non-toxic. The packaging is some of my favorite in the beauty biz and I frequently buy her products as gifts for friends. To say that Tata is one of the nicest people I’ve met is an understatement and her skin is by far the most flawless I’ve seen on anyone. Ever. Tata explained that she left the world of real estate behind to focus on beauty and wellness products that contributed to people’s health, well-being and peace of mind. She created the line after her stepfather was diagnosed with cancer and she started to examine everything she was putting on her own body. Inspired by her surroundings on her farm in Vermont, Tata turned her attention to skincare and the rest is history. 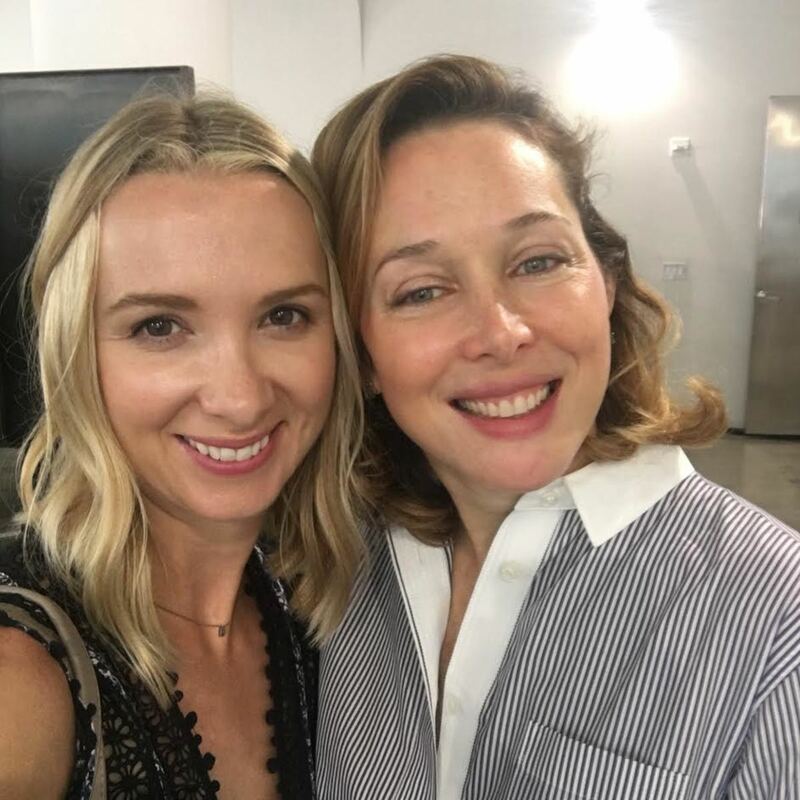 Recognized by Elle, Allure and Shape in their Best of Beauty Awards and featured in every major fashion magazine, to say that Tata Harper is the belle of the beauty world is a total understatement. 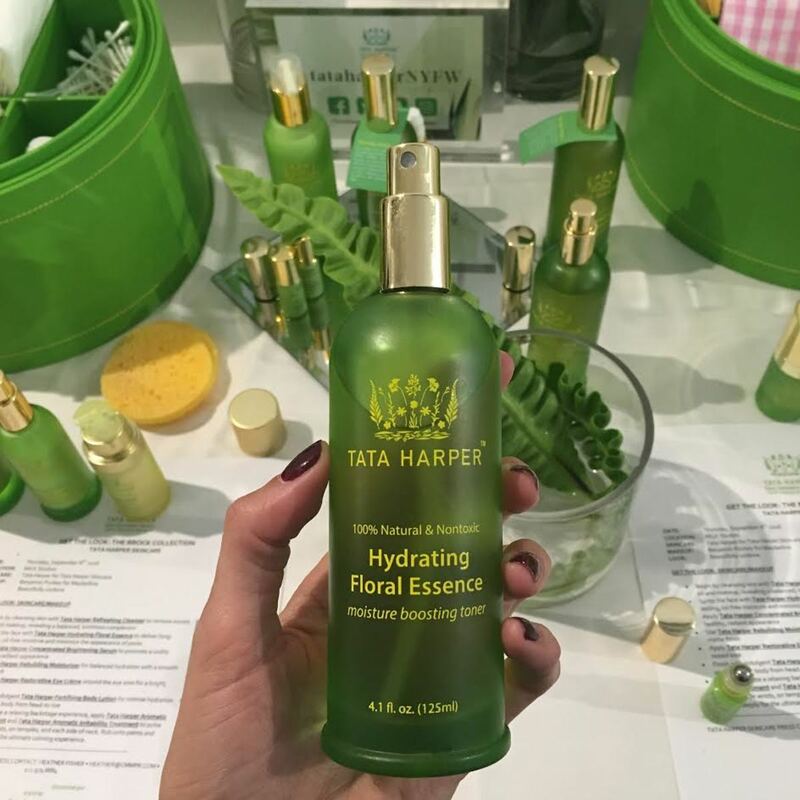 I’ve incorporated these four Tata Harper products into my skincare routine and I’m loving the results. My skin is highly sensitive and I frequently still break out. My t-zone is oily yet my skin has the tendency to get dry, especially when the temperatures start to dip. I love how this cleanser is creamy yet doesn’t feel like it leaves a residue on my skin. It effectively removes all of my makeup and smells like grapefruit. I’m all about maintaining a glow to my skin after the summer months are long gone. This serum is exceptionally lightweight and instantly sinks into your skin, promising to tone with Alpha and Beta Hydroxy which reduces the appearance of dark spots. Now that I’m forty, I’ve invested in several serum’s as they give my skin the added boost of hydration that my skin needs. I’ve been using this formula for a little over two weeks and I’ve noticed a visible difference in the firmness of my skin and it just feels softer and more radiant. I’m usually a big fan of the fresh scents of the Tata Harper products but this one is a little pungent for my liking. I like the results however, so I’ll be keeping this one in rotation. Tata herself slipped this into my bag during our meeting as she called it out as being one of her favorite products in her line. I couldn’t agree more. I’ve been trying to find the perfect eye cream for years and most are just too thick or have some property that just doesn’t feel right. The Restorative Eye Cream is uber light-weight and silky to the touch and sinks into my skin instantly. You can also use this around your lips to prevent fine lines and it has quickly become one of my favorite products of the year. 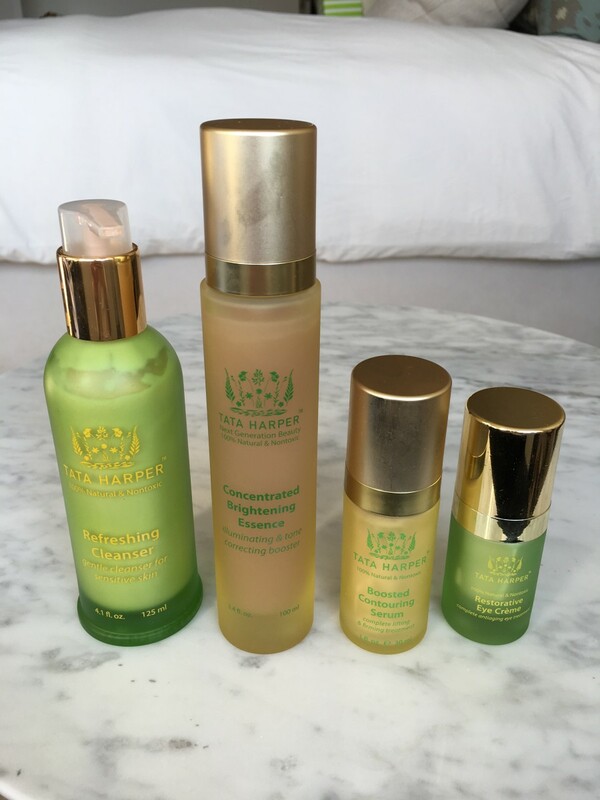 It’s not often that a single brand overtakes my beauty cabinet but Tata Harper is my latest obsession. As we continue to focus on doing right in the world around us, you can easily start with focusing on the ingredients we put on our own bodies.